a) Knapsack voting and participatory budgeting: All budget problems are knapsack problems at their heart, since the goal is to pack the largest amount of societal value into a budget. This naturally leads to « knapsack voting » where each voter solves a knapsack problem, or comparison-based voting where each voter compares pairs of projects in terms of benefit-per-dollar. We analyze natural aggregation algorithms for these mechanisms, and show that knapsack voting is strategy-proof. We will also describe our experience with helping implement participatory budgeting in close to two dozen cities and municipalities, and briefly comment on issues of fairness. 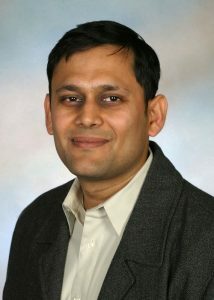 Ashish Goel is a Professor of Management Science and Engineering and (by courtesy) Computer Science at Stanford University, and a member of Stanford’s Institute for Computational and Mathematical Engineering. He received his PhD in Computer Science from Stanford in 1999, and was an Assistant Professor of Computer Science at the University of Southern California from 1999 to 2002. His research interests lie in the design, analysis, and applications of algorithms; current application areas of interest include social networks, Internet commerce, and large scale data processing. Professor Goel is a recipient of an Alfred P. Sloan faculty fellowship (2004-06), a Terman faculty fellowship from Stanford, an NSF Career Award (2002-07), and a Rajeev Motwani mentorship award (2010). He was a co-author on the paper that won the best paper award at WWW 2009, and was a research fellow at Twitter from 2009-14 where he designed and prototyped Twitter’s monetization and personalization algorithms. Professor Goel is also Principal Scientist at Teapot, Inc.